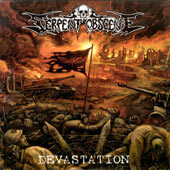 1997 - The band took the name SERPENT OBSCENE. They had actually rehearsed with the same line up, Erik-vokills, Johan-guitar, Nicklas-guitar, Jonas-drums for a few years but now decided to be a bit more serious, and thus record a demo tape. "Behold the beginning" was the first effort that was put to death in December of 1997. Limited to 300 copies, it was sold out and killed off swiftly. 1999 - The second demo assassination entitled "Massacre" saw the pale winter light in January 1999. This demo consists of three songs, displaying a more aggressive manner than its predecessor. Titles are: "Rapid Fire, "Evil Rites" and "Terror from the sky". 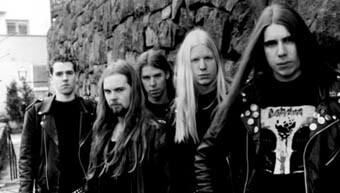 With "Massacre" SERPENT OBSCENE landed a record deal with Necropolis records. 2000 - The self-titled debut album was recorded in Mars at Berno Studios (Malmö, Sweden). Being just less than 30 min long, it manifests what SERPENT OBSCENE has come to be all about: Totally uncompromising death/thrash metal. 2001 - Original drummer, Jonas Eriksson, decided to leave the band and pursue other goals. Christofer Barkensjö (a.k.a. Chriss Piss, KAAMOS, ex REPUGNANT & GRAVE) replaces him. 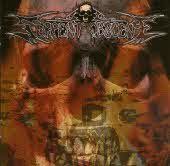 SERPENT OBSCENE returns to Berno Studios in Aug 2001 to record their second album. This piece of violence is baptized "Devastation" and that is just what it is. Building upon the more aggressive songs on their critically acclaimed debut album and adding a more powerful production, "Devastation", was the bands best effort yet. Christofer Barkensjö quits the band shortly after the recording of "Devastation". After a long, hard and effortless search of a replacement, Jonas returns from the dead to once more take charge over the battery! 2003 - Began with the departure of original bassist, Rob Rocker. After a long wait Necropolis records fail to release the second album, and the search for a new label begins. In the spring of 2003 SERPENT OBSCENE lands a new record deal with Black Lodge records. On the 27th of October the same year the second album is finally released, over two years after the recording! A new member also replaces Rob Rocker, Jonny Putrid (REVOKATION) is now in command over the bass. 2005 - After a long wait and a few setbacks SERPENT OBSCENE finally enters Berno studio for the third time to record a new album. Entitled "Chaos Reign Supreme" it is the most violent and destructive penalization to date!